Shawn Patton Design Director at Schell Games has today taken to the official PlayStation blog to introduce their new game to the PlayStation community called I Expect You To Die. Which will be launching on the PlayStation virtual reality hardware during December 2016. I Expect You To Die takes the form of a spy themed “escape-the-room” virtual reality experience. Check out the gameplay trailer below to see what you can expect on the PlayStation VR headset this December. 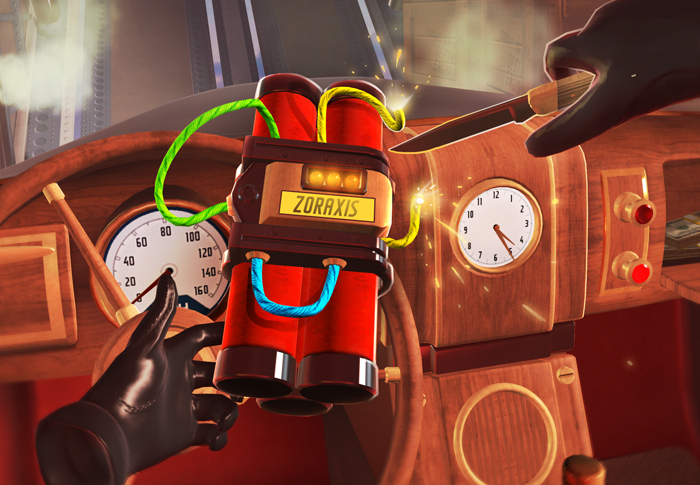 The development team working on I Expect You To Die explain a little more about its gameplay. I Expect You To Die is a virtual reality puzzle game that places you in the well-polished shoes of an elite secret agent. You must attempt to survive deadly situations in immersive, dangerous locales. Play on the Oculus Rift using Touch controllers, an Xbox controller, or a mouse. Complete each operation using problem-solving skills and wits. Oh, and agent, you have the power of telekinesis! Use it and whatever resources you can find to escape each situation, or die trying. Immerse yourself in a world of secret agents, perplexing missions and dangerous locales with this thrilling escape-the-room VR puzzle game. For more information on the new I Expect You To Die, PlayStation VR game jump over to the official website for details by following the link below.